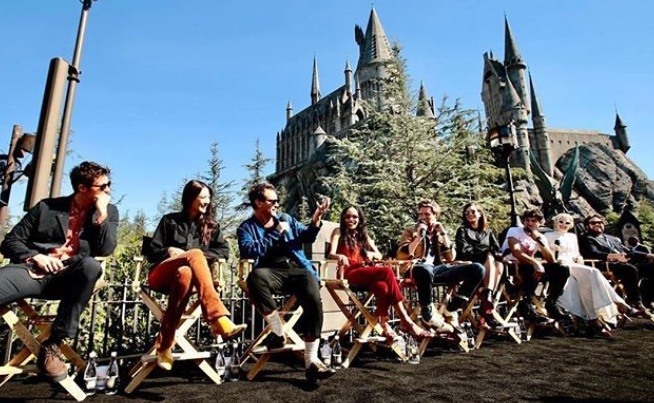 In the photos she uploaded Sunday, Kim can be seen promoting the new film at Universal Studios in Los Angeles, taking questions from the press alongside other cast members. Kim appears cheerful at the theme park with fellow actor Ezra Miller. 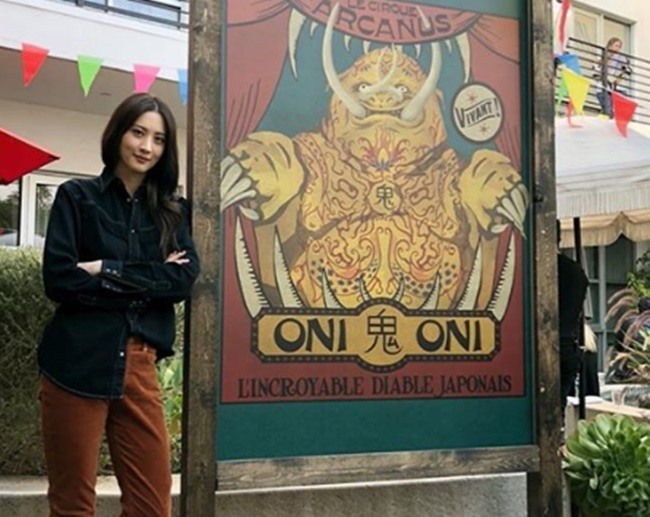 She also shared snaps of installments related to Le Cirque Arcanus, a wizarding circus from the “Fantastic Beasts” series of the “Harry Potter” universe. Kim’s role as Nagini, Lord Voldemort’s pet snake, was met with controversy after a trailer was released in September. Critics leveled accusations of “typecasting” an Asian woman in a “submissive” role, but J.K. Rowling, the author of the original series, defended the decision, citing inspiration from Indonesian mythology. “The Crimes of Grindelwald” will hit cinemas across South Korea on Nov. 14.